As the war of words between Apple and the US government continues to rage, the iPhone maker has been at the center of a political and technological storm the likes of which it has never experienced before. That storm isn’t likely to go away any time soon, and CEO Tim Cook has sought to ensure all of his employees understand the reasons behind the company’s position in a letter to each and every one of them. The current situation is one that hasn’t changed all that much since this story first broke last year. The FBI wants Apple to enable it to access data on an iPhone 5c that was the business phone of one of the San Bernardino shooters, but due to one or two missteps by law enforcement, the iPhone is currently in a state that requires Apple’s help – help that the company is point blank refusing to give. In the letter to Apple employees, Tim Cook has explained the company’s position, saying that giving in to the FBI’s demands would set a “dangerous precedent that threatens everyone’s civil liberties.” While the FBI only wants this one iPhone opening up, Apple’s stance is that doing that may open the floodgates to more and more requests once that precedent has been set. Tim Cook’s letter goes on to say that the FBI want’s Apple to return iOS encryption capabilities to pre-iOS 8 levels of sophistication, making iOS devices less secure not just when law enforcement wants to access them, but also in general. That’s far from a good idea. In order to drive its point home to as many people as possible, the company has also posted an FAQ page that answers some of the most common questions surrounding the current situation. Whether that will be enough to change minds is anyone’s guess, but expect to see the authorities step things up a notch before long. So much misinformation. It’s the Apple marketing machine at work as usual. Am I the only one that believes that as long as Apple can create such a thing, the backdoor is already there? It just hasn’t been coded and installed yet, but if they can ever get in, they can get in. This won’t stop until there’s nothing Apple can do. And really, they shouldn’t be able to. If anything, this just highlights the fact that Apple can get to your secure data if they choose to. They don’t have the security that we thought they did. They’re not supposed to be able to help, yet they admit that they can. 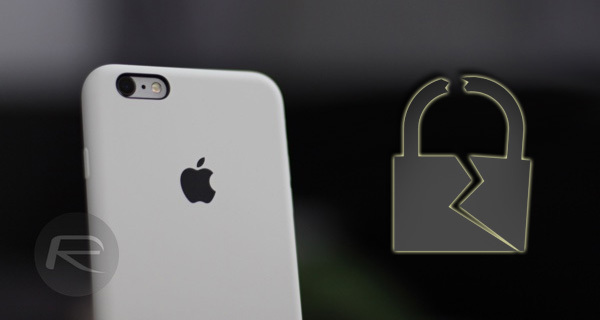 You data on an iPhone is still only as safe as Apple. wow, you’re such a sourpuss aren’t you. Like what exactly? Come on Robert – tell us what Apple is misinforming the world about this time. You obviously have the answers. I can’t give a proper reply. When I do, it gets deleted by the site admin. This has happened a couple times on this site. Seems any posts that disagree with Apple will get erased.